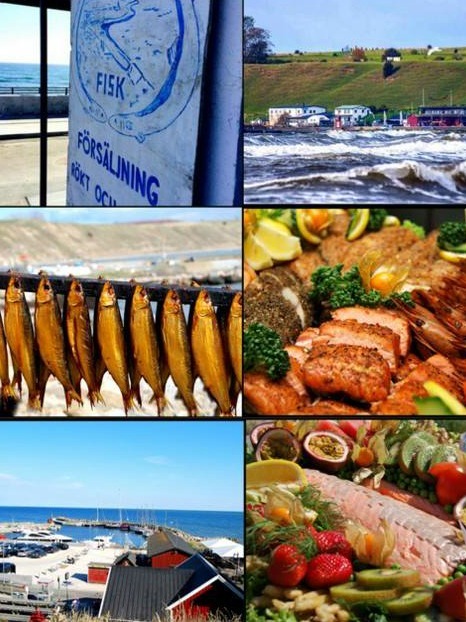 We are a smokehouse serving and selling traditional smoked fish dishes and other seafood from our smokery in Kåseberga Harbour. 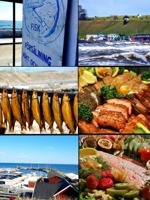 We also arrange special events, such as seafood-festival-evenings and eel-festivals in the autumn. 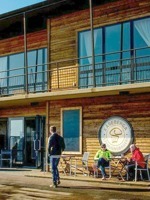 Our seaside restaurant offers indoors & outdoors tables. This restaurant is a real Village eatery! We offer you genuine Home Cooking, and a friendly atomsphere. We are open all days except Mondays. Bookings are necessary on Friday & Saturday evenings. Please phone to book a table as we are often fully booked. Welcome! 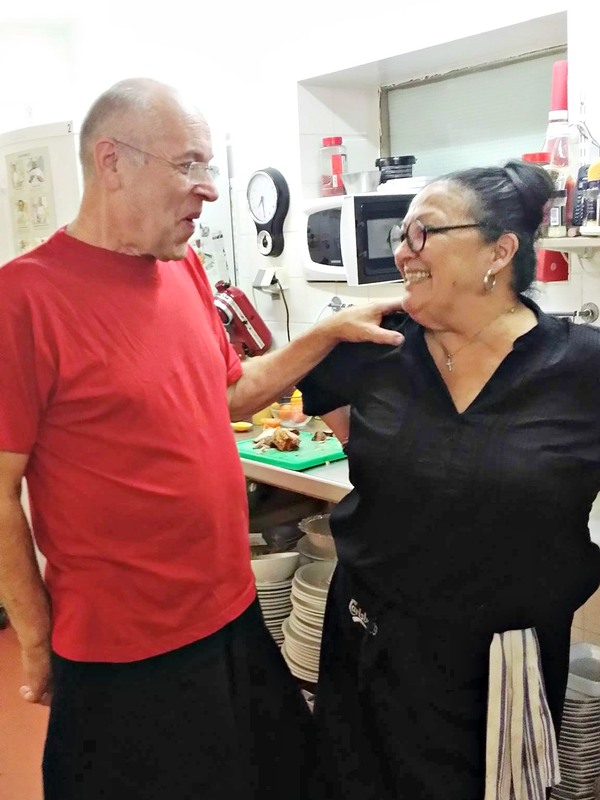 Our restaurant will enchant you with our fish and shellfish specialities, prepared with love and care. Our café offering has penchant for classic "Grandma Cookies" with finesse, with flavors that are recognized by many! The café has also lighter food in harmony with the seasons! 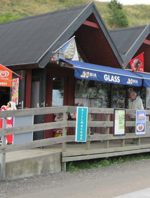 Welcome to Kåseberga Harbour Kiosk. We offer visitors a wide variety of softice cream, waffles and hot meals with home made mashed potatoes, newspapers, etc. We are in the Harbour at the stairs up to Ales Stones. Open offseason 10-16 och, and 08-20 during the High Season. 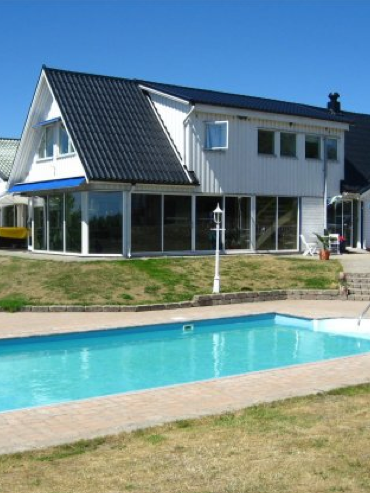 'Lillsmedjan' is a small house centrally located in Kåseberga, It is rented weekly during the summer, and by agreement during the rest of the year. 4 beds. Modern fully equipped kitchen. Washing machine/dryer/shower room. Dogs are welcome. A little garden. Do you need somewhere to sleep, we offer three rooms on a very nice B & B with good and varied breakfast served either in the garden or indoors. Separate entrance from the garden. It can also be a picnic for lunch on the beach for more ller less cost. 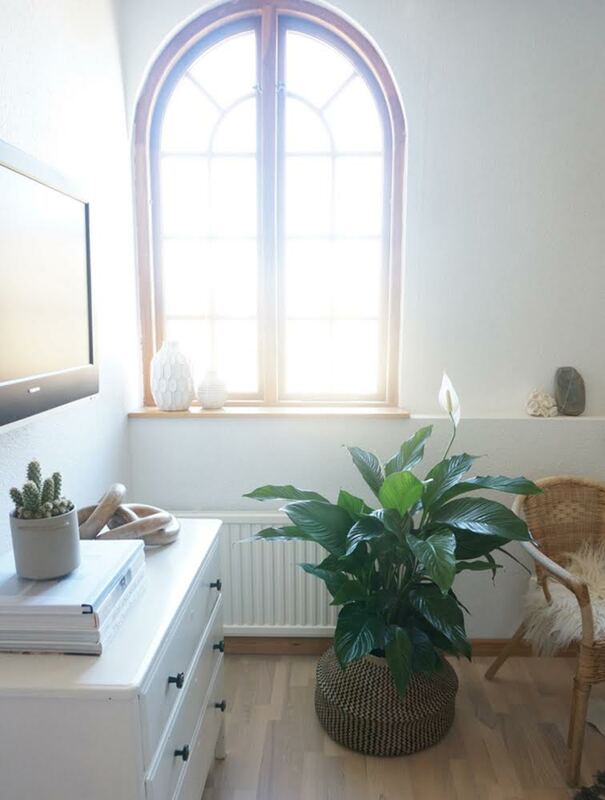 2 rooms & kitchen to rent in Kåseberga Old School, 55 sqm. One bedroom with two single beds, livingroom with TV and bed sofa for 2 persons. 1 extra bed. Kitchen with stove, oven, micro, fridge with a small freezer, coffee maker. Shower/ toilet. Washing machine. 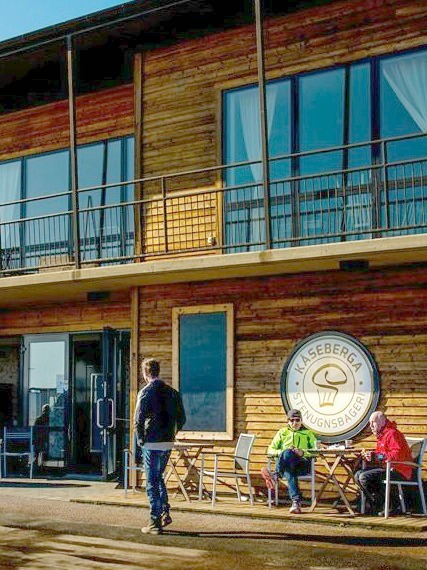 Kåseberga's new Hotel and Spa is connected to the Café & Bistro in the Harbour. You can read more about the new Hotel on the website below, and also make your bookings there. 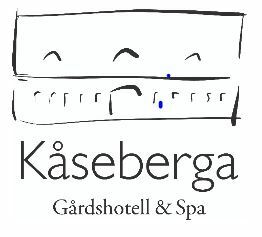 Welcome to a Special Hotel in the beautiful seaside fishing village Kåseberga, with a lot to see and do! Welcome to Logen! Here under the rooftops there are four apartments each with a combined livingroom/kitchen fully equipped, a bedroom and a bath-room with shower. TV and free WiFi. We rent by the week or single nights. Call for info on available apartments. Welcome to Kåseberga's most stunning view. A fantastic living for up to two families. 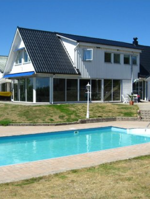 The house has recently been renovated, and can be rented on a weekly basis during the whole year. 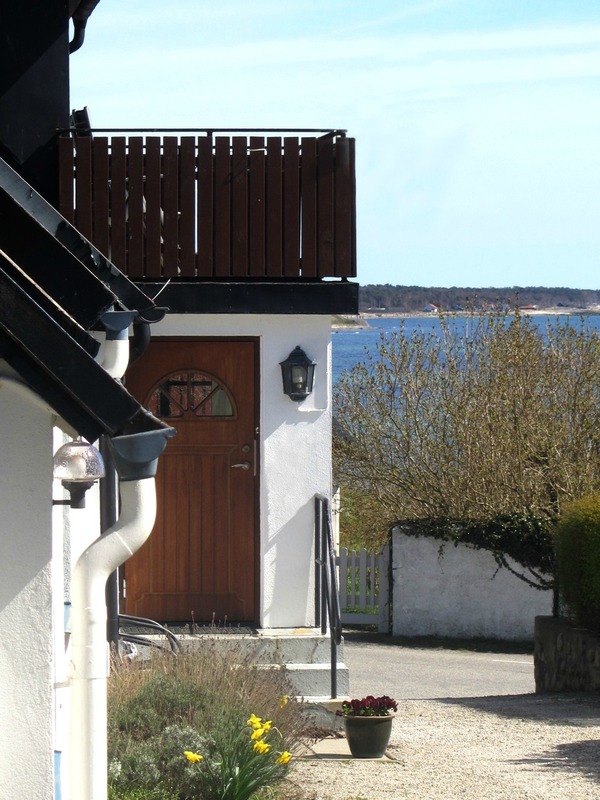 With a sea view from all rooms, and a lovely little garden we offer a superb way to stay during your holiday. You can see much more on our website below. Welcome! Excellent area for walking, close to "Ales stenar". Stay in our cosy and friendly Bed & Breakfast where we offer three spacious rooms. Oldworld charm is combined with modern hospitality. All rooms have TV, WiFi & access to their own bathroom. Breakfast buffé you can eat inside or in the garden. 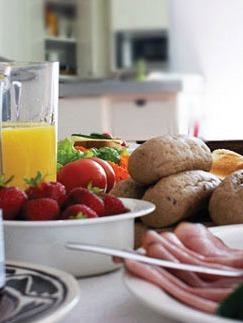 In our warm and familiar restaurant the community and well-being is at the center, we welcome you as our guest. 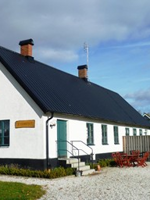 Welcome to a hotel and holiday village with the best location between Ystad and Simrishamn. Magnificent sea views and lovely country walks. Our 13 double rooms have sea views, pool and sunset in the west. 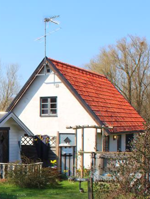 Our 10 self-catering cottages can accommodate up to 6 people. Rapsbollen is located in a peaceful country setting in Österlen , 4 km from Kåseberga. 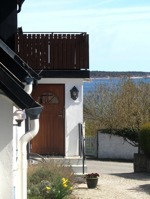 Rapsbollen has seven individually decorated rooms, all with private shower and toilet. Common space where you can eat your own food, access to fridge, microwave owen and barbecue.